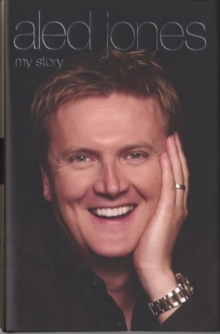 Aled Jones, a choirboy with a remarkable voice, achieved more as a teenager than many adult singers do in a lifetime. His prodigious talent propelled him to international stardom; before he was 16, he had already sold more than 6 million records and had become a fixture on television and radio. He has worked alongside such musical greats as Leonard Bernstein, Andrew Lloyd Webber, Neville Marriner, Howard Blake and Mike Oldfield. Some of the high points of his early career included performances at the Hollywood Bowl and the wedding of Bob Geldof and Paula Yates, as well as singing privately for the Prince and the late Princess of Wales. Best known as a boy soprano for his hit 'Walking in the Air', Aled tells the full story of the effect it had on his life. Always refreshingly honest and self-effacing, Aled reveals how he faced up to life after his voice had broken and how he carved out a new career for himself on stage, record, television and radio. His story begins with his idyllic childhood on the Welsh island of Anglesey and his years as a chorister at Bangor Cathedral, during which his family provided wonderful support and encouragement as he rose to fame. He tells of his studies at the Royal Academy of Music and the Bristol Old Vic Theatre School. As an adult performer, Aled has released a series of best-selling albums. Today, he is most known for sitting alongside Lorraine Kelly as one half of the presenting partnership of ITV's breakfast programme Daybreak. 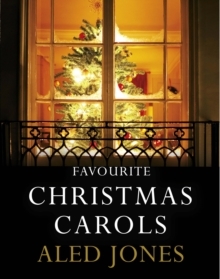 He is a regular host of Songs of Praise and presents weekly radio programmes for Classic FM and BBC Radio Wales. 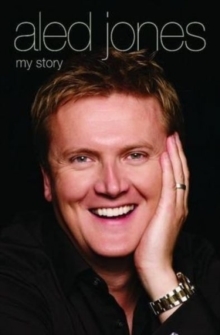 Aled: My Story reveals the man behind the music in a frank, heart-warming and funny account of his life.